Project MyStory is a community building initiative by the Advisement Services Center to help new students better acclimate to UAlbany. Through videos, blogs, posters, small group meetings, and presentations; students help other students by sharing their experiences. Connections are established, relationships are formed, and hope overcomes pessimism through the telling of our stories. RSSW291 Project MyStory Bloggers would submit at least 10 blog posts during the semester (300 words or more) guided by a particular theme. They would also facilitate 1-2 small group presentations related to their theme. To apply please submit a writing sample to Rachel Moody at rsmoody@albany.edu. RSSW290 Project MyStory Bloggers would submit 10 blog posts during the semester (700 words or more) guided by a particular theme. They would also facilitate 1-2 small group presentations related to their theme. To apply please submit a writing sample to Rachel Moody at rsmoody@albany.edu. RSSW290 Project MyStory Vloggers would submit at least 6-8 edited videos of students sharing stories about overcoming obstacles and succeeding at UAlbany. They would assist the Advisement Services Center with video projects They would also assist the Project MyStory Bloggers. To apply please submit a video sample to Rachel Moody at rsmoody@albany.edu. UAlbany Students: Tell Your Story! Every Fall Semester we will feature a blog series featuring selected students who have shared stories of their academic journey. These students are also featured on posters in the Advisement Services Center. Please submit your story by March 1 to apply to become a Project MyStory Ambassador. We will select the Project MyStory Ambassadors by April 15. How did you decide on your academic or career path? How did you overcome obstacles to succeed? What advice would you give to students who are struggling? 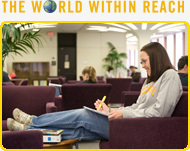 What resources helped you to find a home at UAlbany? What do you think all new students should know? Do not simply answer the questions. Please incorporate these questions into your story.